Khalnayika is an Assamese movie starring Fairy Priya and Alok Bharadwaj in prominent roles. It is a romantic thriller directed by Hemant Nilim Das, with Zubeen Garg as the music composer, forming part of the crew. 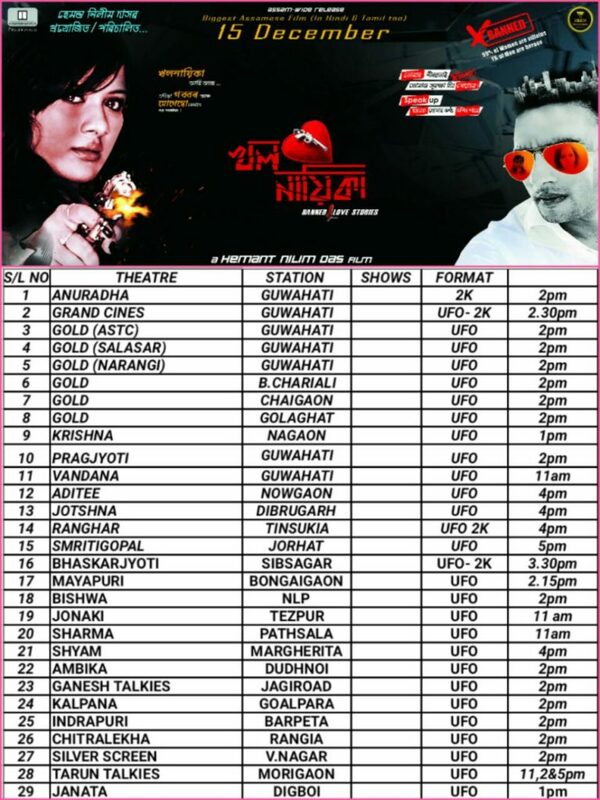 Khalnayika released on this Friday and running successfully across Assam in 29 cinema halls. Here’s the list of Halls you can watch Khalnayika. Watch Khalanayika and win an iPhone! !